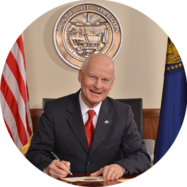 SALEM, OR — Today, Secretary of State Dennis Richardson announced proposed changes to campaign finance administrative rules allowing campaigns to accept donations of cryptocurrency like bitcoin. See Notice of Proposed Rulemaking. The draft administrative rules mirror the policy of the Federal Elections Commission by allowing contributions but not expenditures. The Elections Division is seeking feedback on these rules. A public hearing on the draft rules will be held on July 23 from 3:30 p.m. – 4:30 p.m. in the Elections Division at 255 Capitol St., Suite 501, Salem, OR 97310. Public comments can also be submitted to elections.sos@oregon.gov until August 7 at 4 p.m.